Finally the inevitable happened. We had been hearing about it for sometime. However, when it happened it came as a shock, though a momentary one. Michael Jackson, the world's best entertainer breathed his last breath yesterday. They say life comes full circle at that last moment. What must MJ have seen at that narrow alley, that final junction between the life and death? Seen himself moon walking, performing in front of crowds and dignitaries alike, receiving awards and cheers or shrieking after yet another disastrous face job? MJ was always in the news, if it weren't for his music, then the reports revolved around his experimentation with his face, sexual scandals (pedophilia charges being the gravest) or his financial calamities. It is ironic, that the man who once said, "It doesn't matter if you are black or white" decided to go white one fine morning. However, this obituary is not meant to elaborate on these dark phases of his life but to celebrate a life dedicated to music, dance and full-on entertainment. I can not claim to have grown up listening to his songs for I had a limited access to western music during my childhood. However MJ was such a phenomena that everybody had heard about him, even if not heard him. I remember seeing him for the first time on a video, my U.S. returned buddy had brought, when I must have been about 8 years old. He looked peculiar and his songs also failed to impress me because I had been more into Bollywood in those early years of my life. "अगर लेना हो T.V. तो Philips का लो Black and White"
and was beamed constantly on radio. Other than this, his two other compositions are amongst my all time favourites. These aren't the normal Michael Jackson stuff but transcendental in nature, an ode to the humanity, the best works of the 'King of Pop'. The first is 'Heal the World'. It was dedicated to children living in countries suffering from unrest. His performance at the Bill Clinton's gala, dedicated to "all the children in the world", in 1992 is one of the best and most moving performance I have ever seen. The other song is 'We are the World' by USA for Africa, which he has co-written and performed. Profits from the song were used in relief of famine and disease in Africa. I have created this Mixpod playlist as a dedication to three of his best works. Tune in to listen to the legend himself. I am so in love with these songs that these three formed a part of a previous playlist I created for my blog which had only four other songs. 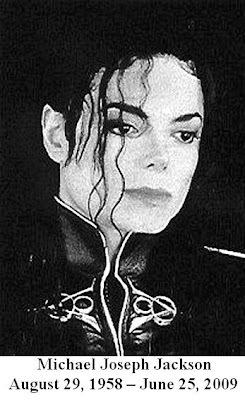 Today Michael Jackson is no more. He left his millions of fans at a young age of 50, missing the comeback he had planned recently. With this an era comes to an end. But he will always remain in our hearts as the 'Best Entertainer of All'. but was he the GREATEST of all modern western musicians? i don't think so ... i would rate the Beatles over him ... in fact a good chunk of his income came from Beatles royalties, and as for a fan-following i don't think his would beat theirs ... or will it ? we lost a star Indeed !! Nice obituary...and Shubhayan , it would be no justice if u compare MJ with Beatles. Both belong to different generes , MJ's hit in POP, where Beatles are more of Rock n'Roll. Both are legends of their own time!! Thanx guys 4 dropping by 2 pay a tribute to MJ. and as i said, i startd listning 2 westrn music pretty late, actually during ricky martin era. MJ was gone by thn bt still i managd to go back a bit. Beatles were history by thn, so havnt heard thm(i know tht sounds preposterous). nd cud they moonwalk like MJ? nice post i wanted to write on it but as you have wrote nicely i will not write it agian on that. MG was great will be remembered forever.yes you rightly said end of an era. It is definitely the loss of a legend. yup end of an era nd loss of a legend.. i hav been listning 2 my playlist ovr n ovr again since ystrday! i nvr knew i was sch a fan of MJ till 2day. Agree to each and every line of the post...well written..intense and deep..it touches the heart!! Dojo Grid is super nice as well and Jester is just like the catalyst to it all. Thanks for a really good post.